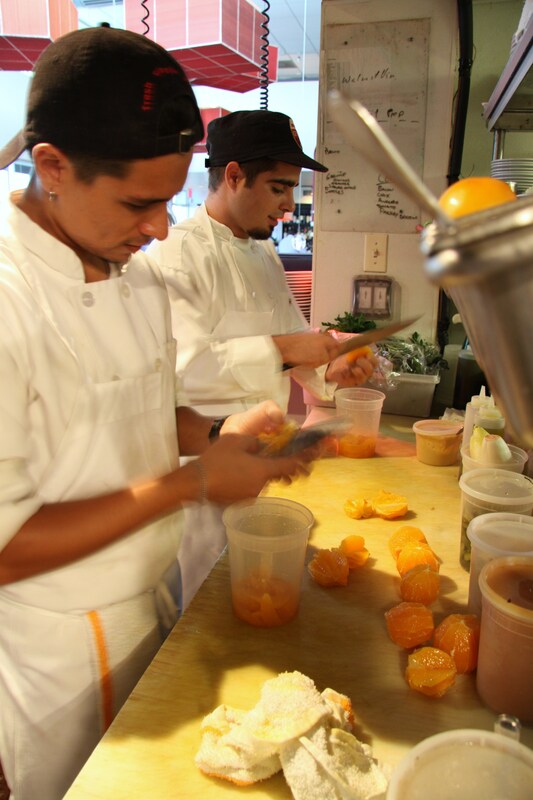 Felix (up front) trains J.P. (behind) on the salad station supreming oranges for the butter lettuce salad and ceviche. When we first launched our street food cart back in March, we knew it was going to be a jolly good time for all. Little did we know that, thanks to the help of Latin Burger & Taco Truck owner Jim Heins and his J&W intern Solomon Nerio, we’d get hooked up with hard working students to run our new outfit… and that eventually, one would cook for us indoors.